The Battle-Automata is complete! I was worried about the amount of weathering initially, but after I added highlighting, pigments, and dust, I think it turned out great. This was definitely a case of the model looking better completed, than in process. I have 6 thallax and one Castellex of my own to build, but I think I will wait a while. The new Imperial Knights look fantastic, and since they exist pre-heresy, I think they will look spectacular alongside my Sons of Horus. 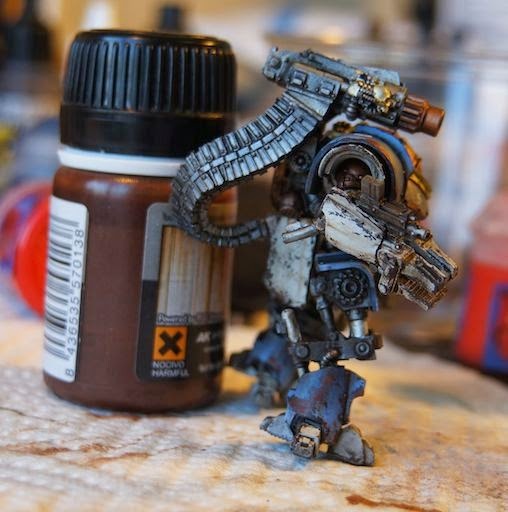 At the moment I think a black and white heavily weathered force will look the best. My troops are EC purple, and SoH mint, so those colors will fit nicely. 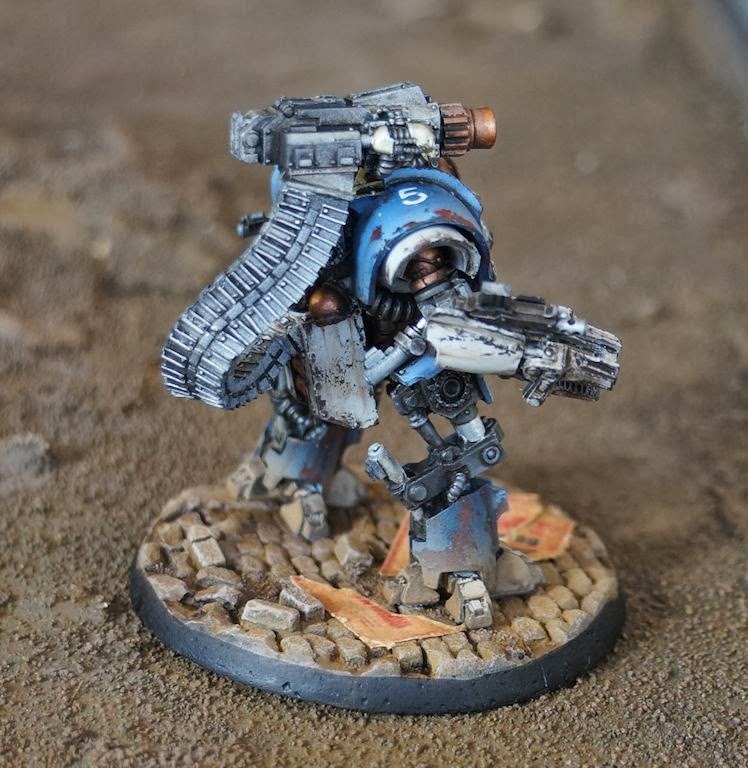 Knight houses aligned with the Deaths Head Titan Legion will provide a little bit of traitor flavor to the force. 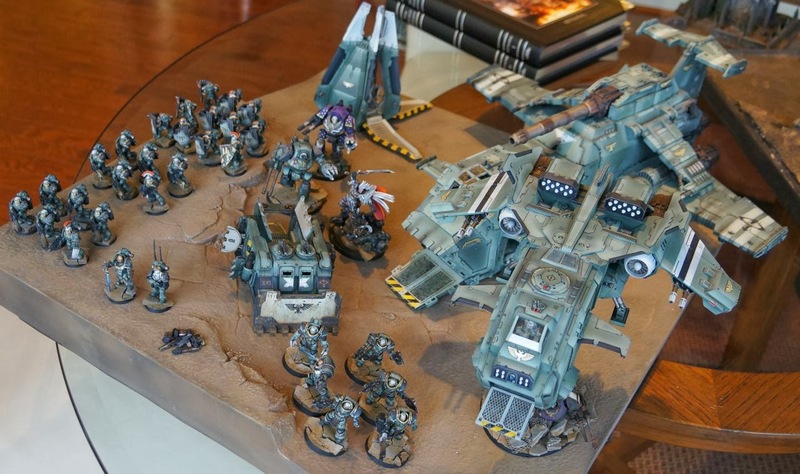 Hopefully this will convince my friend to start a heresy era force. 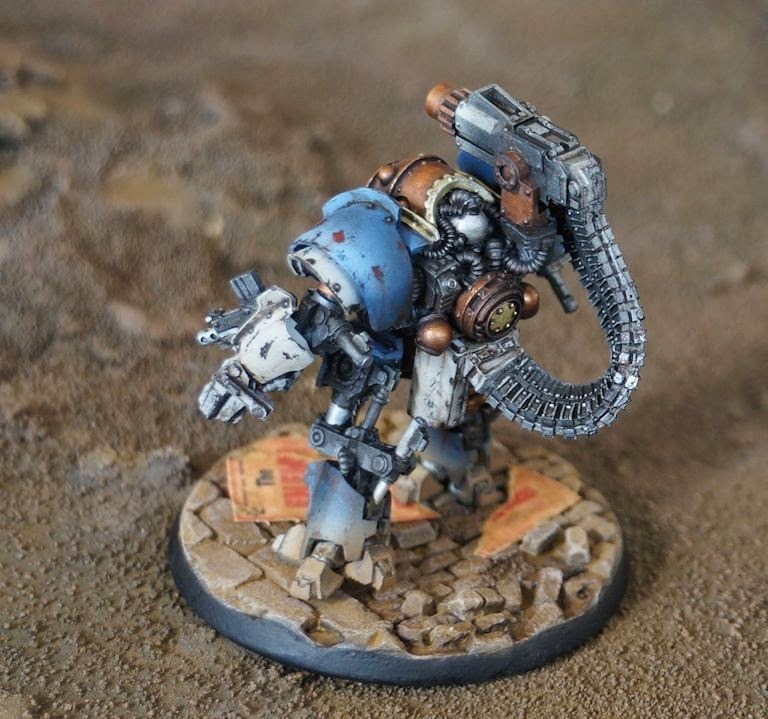 Using this robot just for Malifaux would be a crime! *edit just added fresh oil to all of the hydraulics and pistons. It makes a huge difference! This Castellex is a gift for friend who intends to use it as part of a Malifaux crew. 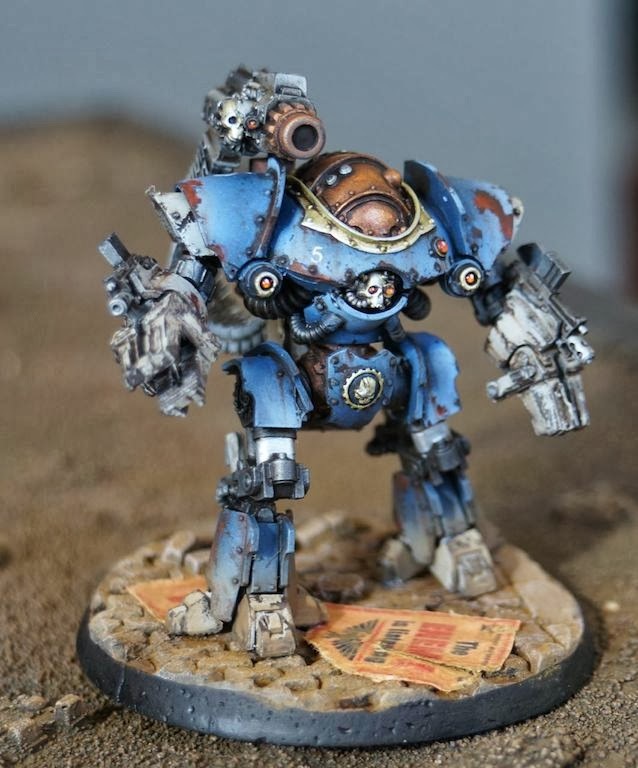 The brute will be the only robot amongst a bunch of gun slinging cow girls, so to compliment all of the browns in his force I stuck with a blue paint scheme. The weathering is heavy, but I think it will come together once the dust and dirt are added. 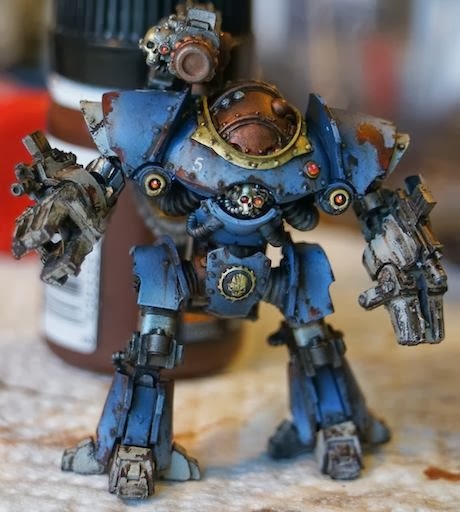 I imagined the old robot taking a beating in the malifaux setting, so it had to look like a rust bucket. I used the hair spray technique to chip the model. As much as I like the idea of this model, I hated putting it together. I don't know if I am super glue cursed, but this guy fell apart a dozen times. It is quite the fragile model. next steps.....purit seal, then more work on the metallics. The legs will get dusted with graveyard earth paint (or whatever the new one is called) and he'll be added to a scenic base. See how AK Interactive dark brown oil wash and streaking grime would look. 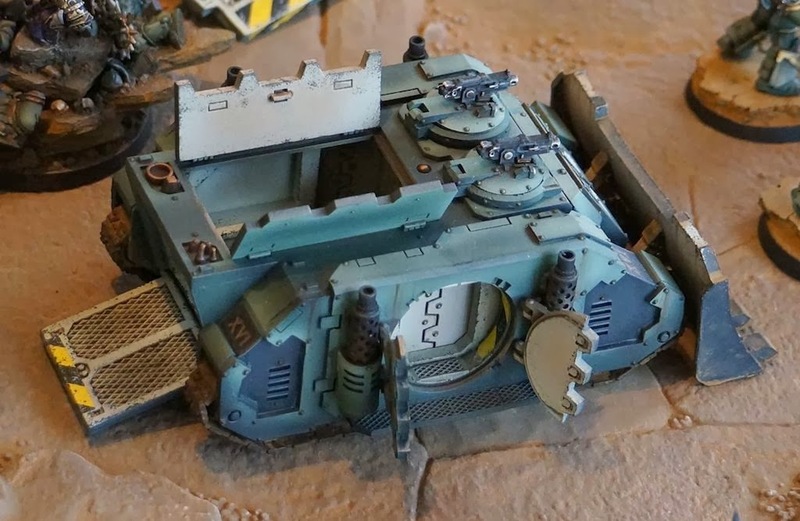 See if Steel Legion Drab paint and Green Earth weathering powders would unify the model. I am on the fence about this. I've been watching a bunch of Mig Jimenez videos and reading his books and I think I might be falling back on well known techniques rather than really pushing my painting. There are a few things that would be different on a real and not test piece. 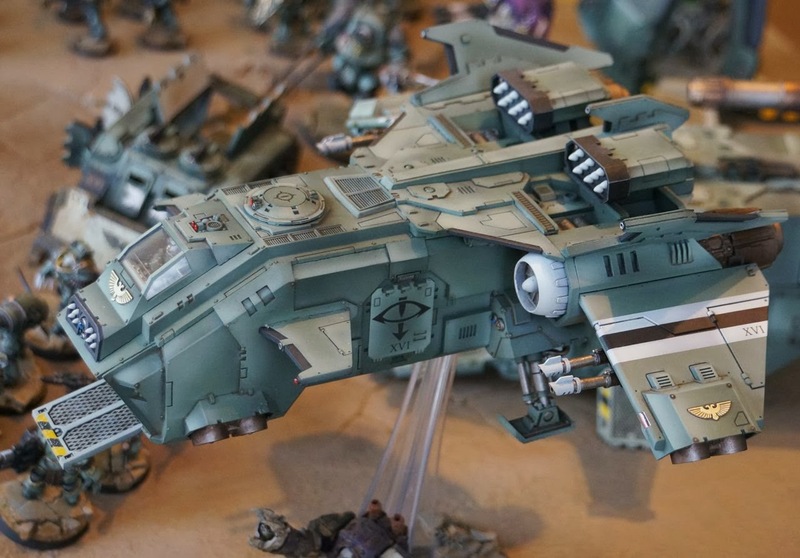 The insets would likely be painted in the white-grey color on my SoH pieces, and there would be gold detailing as befits a vehicle from the Emperor's Children. The while would help show off the weathering, and the gold would provide the purple<->yellow contrast providing visual interest. Any army shot of the force was requested, and I am happy to comply. There are a lot of unfinished models in here. 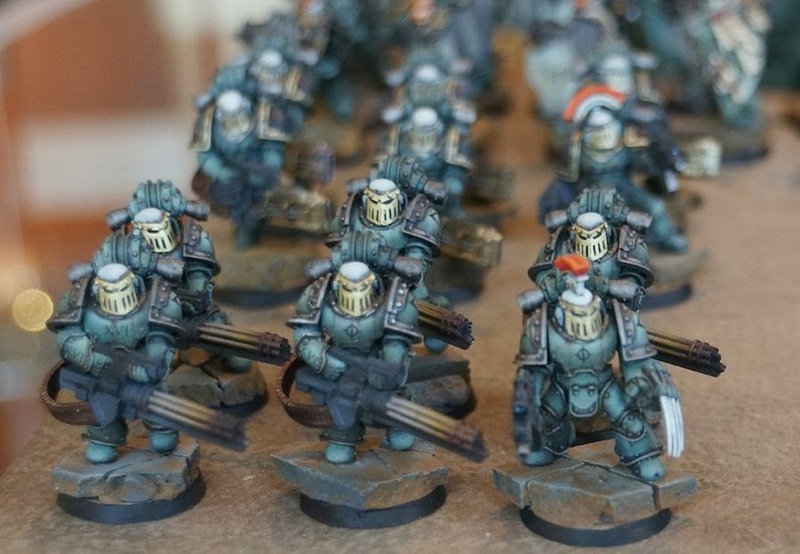 Paint chipping, grime streaks, and dust have not been added to all of the units yet. 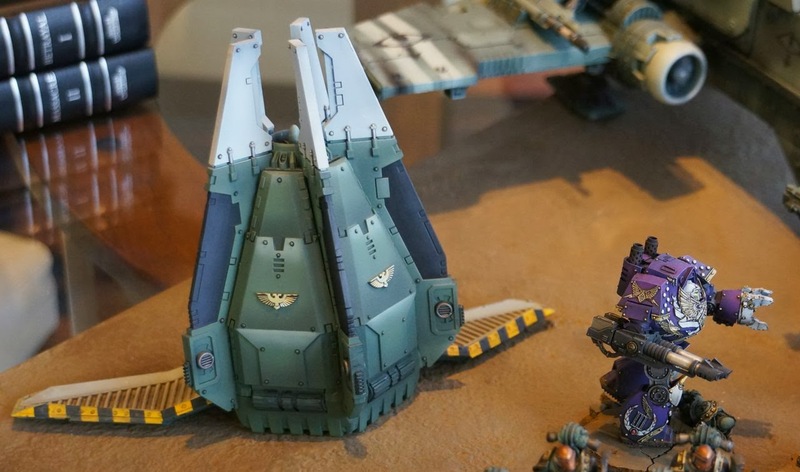 The Storm Eagle and the Drop Pod will look quite different once I apply those techniques. 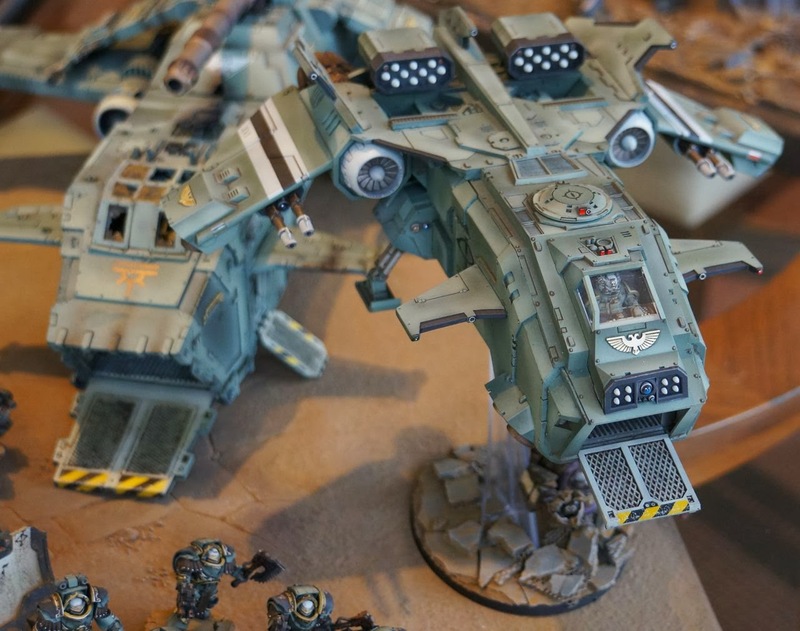 Fourteen ravager bodies arrived in the mail yesterday, so now get to decide if they are going to be built as ravagers, or as a large tac squad. 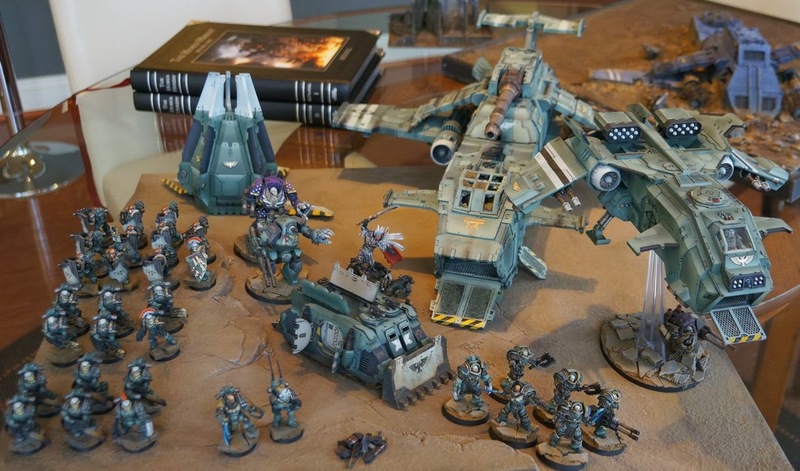 My goal was to build this up to a playable force, then add the Emperor's Children(purple) and Imperial Army units (mint cream color of ramps and interiors of vehicles). I am eager to paint up some more EC's so the original color balance is reached, but that would push a playable force back considerably. 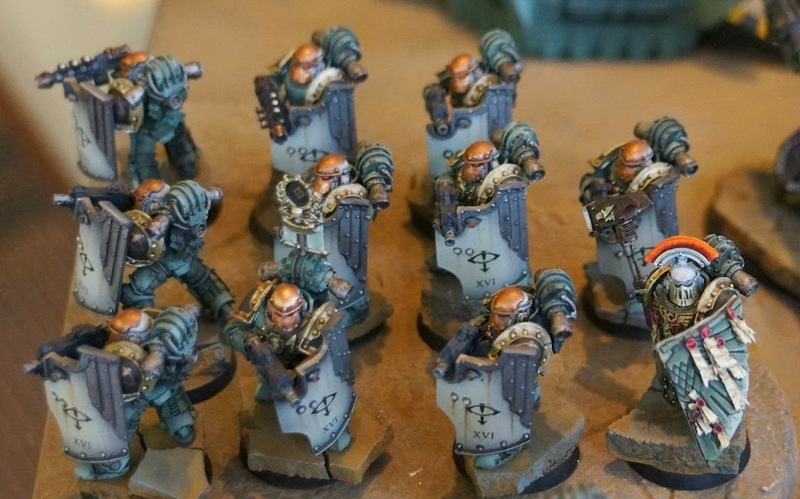 I've completed my first troop choice for my Sons of Horus army, or have I? 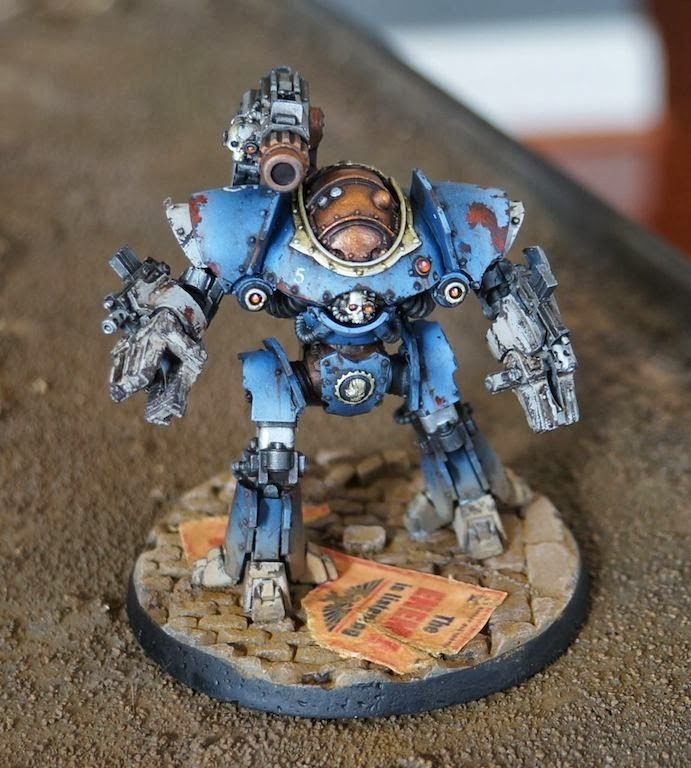 My original intent was to paint chip the shields and corrode the face plates on the models, but after adding some streaking grime to the shields my inspiration fizzled. 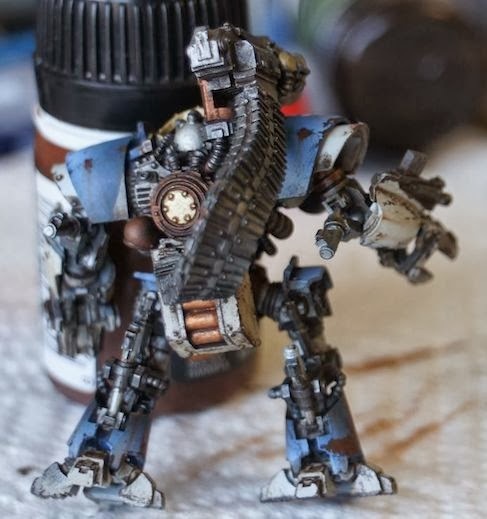 Should I press on and add dark grey paint chipping to the shields? Should I highlight the bronze face plates. Should I edge highlight the weapons? I probably should, but for now I am just happy to have these guys in a mostly completely state. 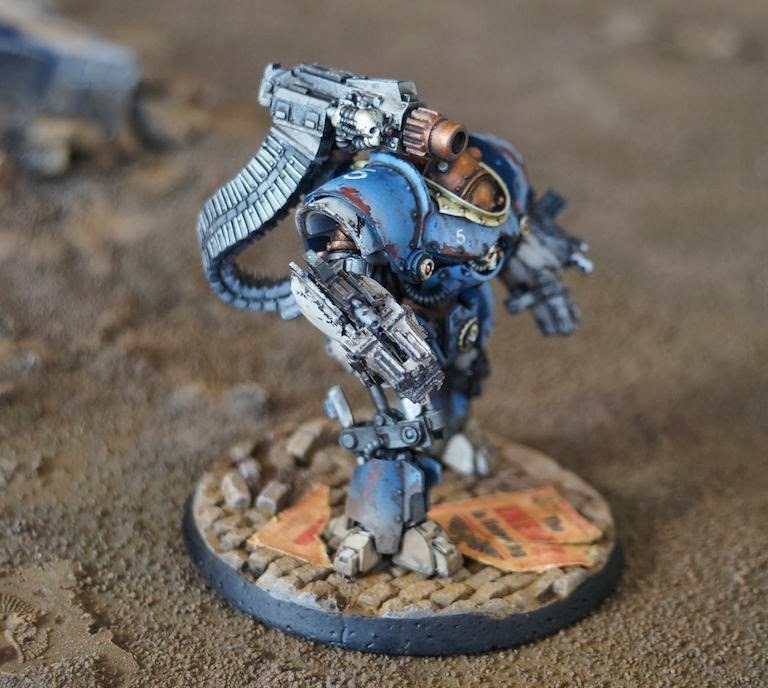 One of the things that has become apparent with these models is that Forgeworld needs to get its mold alignment / quality control back up to snuff. 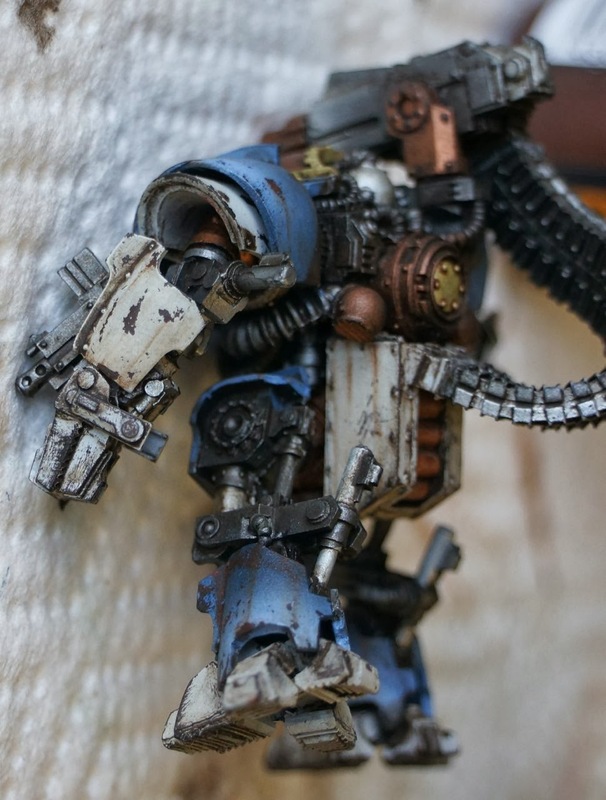 My DKOK models, which have delicate parts, and clean designs are nearly perfect. 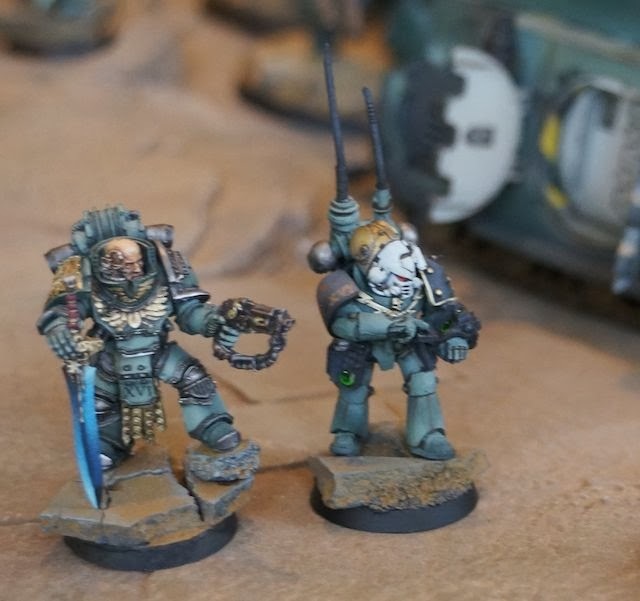 I love the products that Forgeworld produces, but none of these Breacher Marines could have been painted as part of a competitive entry without significant re-sculpting of details lost due to molds being misaligned during casting. 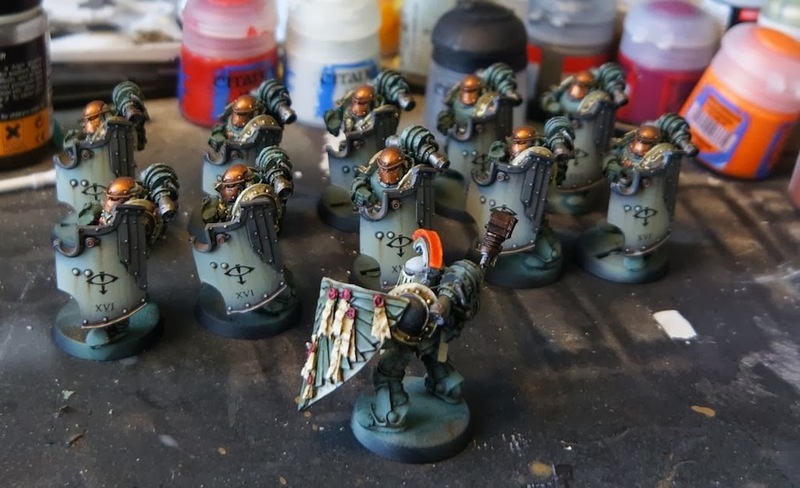 I am painting Emperor's children and Sons of Horus, and right now all of the poor casts go into the grittier Sons of Horus army. That makes the problems less visible, but me no less grumpy. 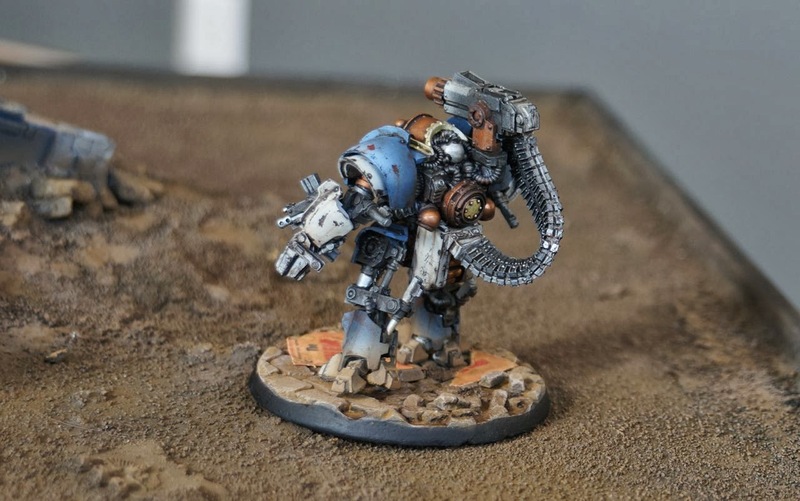 Games Workshop and Forgeworld have awesome customer service. Many companies could take a lesson from them, but the inconvenience of calling the UK to have models replaced, and then waiting weeks for the replacement parts is a poor exchange. Use local Nottingham students as QC/apprentice casters. A low labor rate, an enthusiastic gamer workforce, and giving back to the local community sounds like a win. Use this new employment pool to cast one-offs to send to local GW stores. 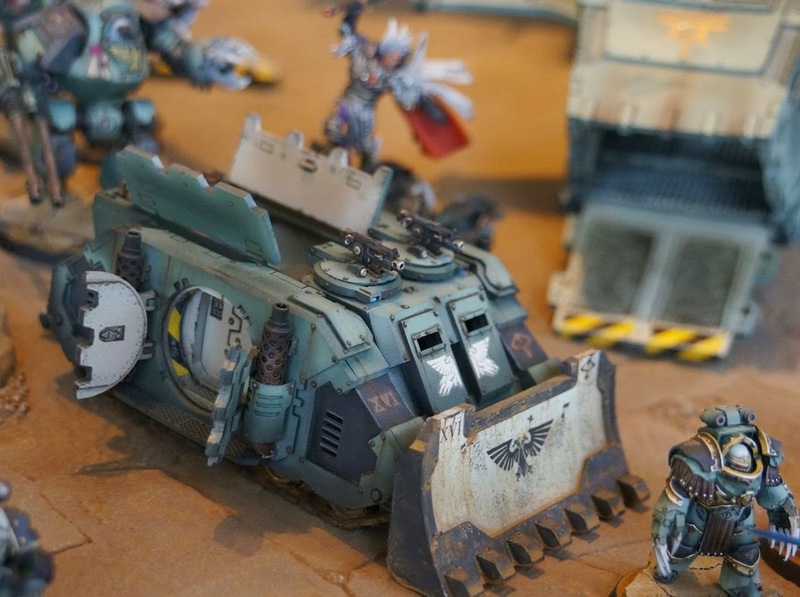 The prize for winning a tournament or painting competition could be a special edition miniature. Provide stores with items that can only be acquired through participation. 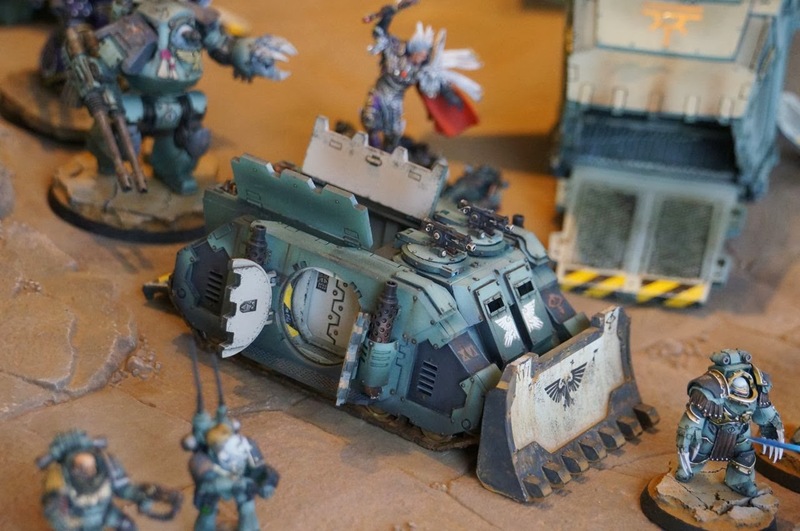 I had the limited edition forgeworld boarding marine since the last Games Day back in Chicago, but I hadn't really found a use for the model until the Warhammer 30k came out. 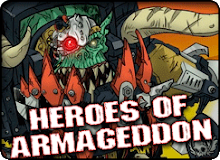 Now, with the Legion army list I finally have a good squad for him to lead. 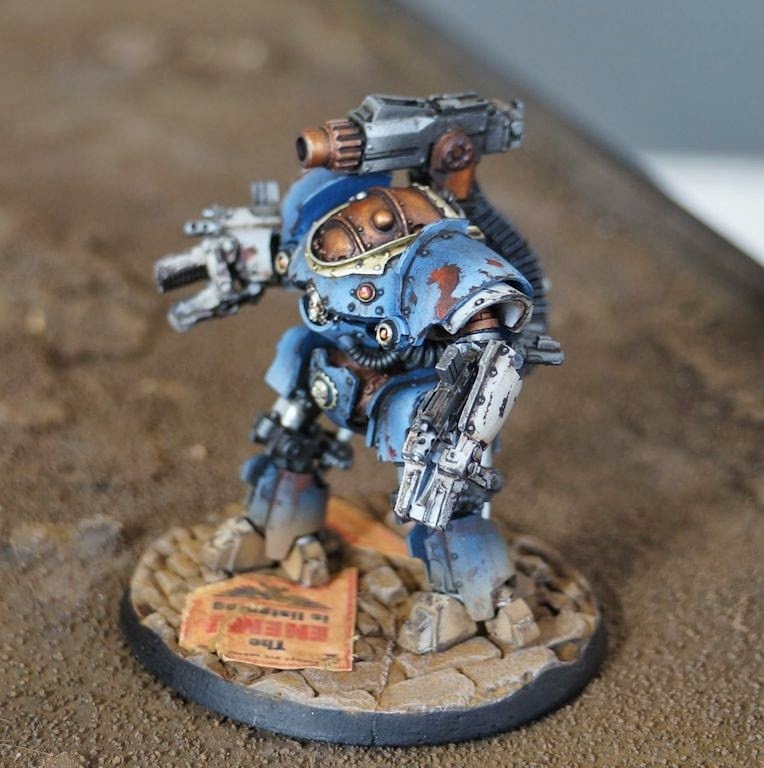 What makes breacher marines interesting is not the rules, but the models, which look sufficiently different than most marine kits. 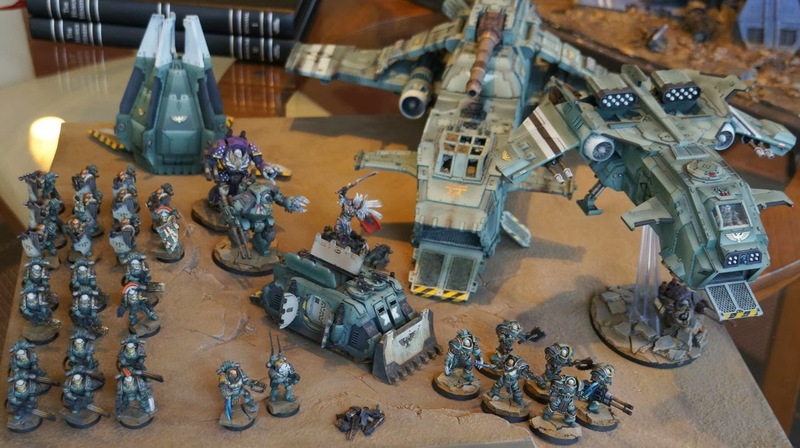 After the guns are painted up, and the models based, I have to decide if it is time to finally paint the 20 man tactical squad I have been avoiding. I've got some mechanicum to paint up, so maybe a break from marines is in order.